Digital cameras are great, and are getting better and better all of the time. While many features used to only be found in digital SLR cameras, many compact or point and shoot cameras are able to give you similar features for a lot less money. The more money you spend, the more features you usually get. However, for $100 or less you can get a great compact digital camera without the cost. It won't have all of the bells and whistles of a more expensive model, but it will take great pictures. If you are in the market for a point and click camera, I highly recommend looking at a camera in this category. Personally, when I look for inexpensive cameras, I always look at what is available from Kodak. Kodak makes some of the best compact digital cameras for the money. In my photography classroom, I only buy Kodak cameras for the students to use. In fact, I just placed an order this summer for the upcoming school year. 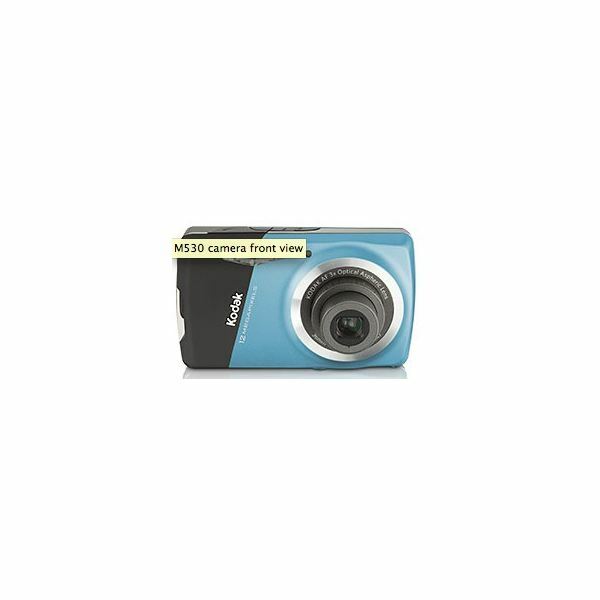 My current choice is the Kodak Easyshare M530. This camera typically retails for $99, but you can find it for less online. There are several things I like about these cameras. First, they are slimmer than most cameras in this price range. Second, they have 12mp, which allows my students to do a lot of cropping without losing image quality. Third, they have the 3x optical zoom. I also like how they charge via a USB cable and wall charger instead of using AA batteries. I find that these types of batteries last longer than AA, plus they seem to make the camera lighter. Many people prefer the AA route – I don't. You will probably have a zoom of 3x, and megapixels could be anywhere from 8-12, which is plenty for an 8X10 print or larger. Finally, the Kodak Easyshare is available in multiple colors, takes great pictures and is very easy to use. Be warned when shopping for cameras for under $100 – many uncommon brands sell cameras with large megapixels and large zooms. Most likely, these zooms are digital and not optical. The result is a lower image quality (I turn digital zooms off of any camera I purchase. There is a big difference in quality between digital and optical zooms.). Also, the lens is usually lower quality, resulting in a lower quality image. Maybe you want more features than the basic point and shoot camera. Maybe you want a more powerful zoom or higher megapixels, or a thinner camera. Some cameras in this price range have touch screen interfaces. Most people I know purchase cameras in this price range. When asked what to buy I usually tell people to look at Canon and Nikon cameras. Generally, you can't go wrong with a camera by Canon or Nikon (or even Kodak). My choice in this category is the Nikon Coolpix s6100 with a retail price of $199. I own the older s6000 and it is fantastic, and the s6100 improves on the older model (which is still available). This newer model has a 7x zoom, 16mp, and a touch screen. My older model has 14mp and no touch screen. What I love about my s6000 is the size and weight and the larger zoom. It takes fantastic pictures, and with the touch of a button I can start recording HD quality video. This camera is extremely easy to use, but also has more advanced features that I can play with and adjust if I want to. It also processes images fairly quickly for a point and shoot camera which means I can take another shot a lot faster than with other cameras. Like the Kodak mentioned above, this comes in several color options. If you really want to go all out on a point and shoot/compact camera you want to be in this price range. As with the other price jump you get more features with more money. Usually these features focus on zoom and megapixels, and better lenses. You also might have more on board features like editing pictures right in the camera itself. Some cameras might even have GPS or built-in wireless. These cameras usually get you closer to the DSLR cameras without the bulk and price. For me, it is all about the zoom and the speed. The one thing I miss about my SLR camera is the zoom I can get with a big lens. The big lens is the reason I don't use an SLR camera anymore. It is too bulky and heavy, especially when traveling. I used to have a Kodak superzoom which worked great, but even that was too bulky. However, Nikon has started creating superzoom cameras at a compact camera size and I recently got the Coolpix S9100 and love it. It retails for $329.99. 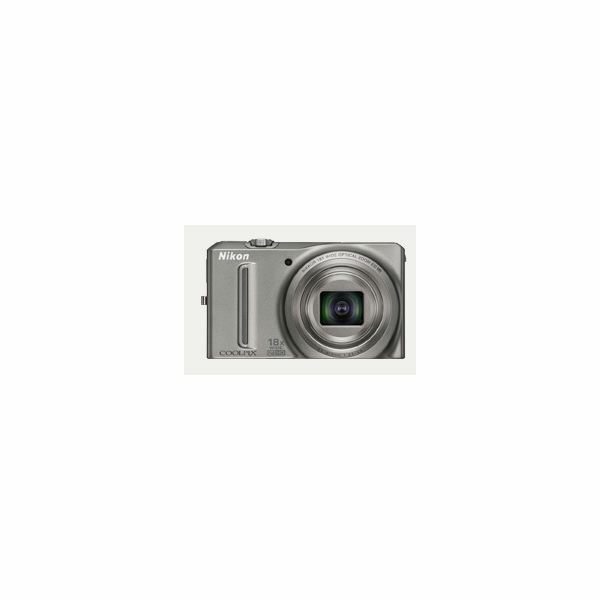 The S9100 has 12mp and an 18x zoom. Yes 18x zoom. It is a little thicker than the s6100, but still fits in my pocket with my phone and wallet in the same pocket. It takes fantastic pictures and is really fast. It is faster than the s6100, which was my other deciding factor in buying this camera. The one downside to this camera is the flash. The flash is powerful and refreshed fast, but I have to manually pop it up if I want to use it. The camera does not decide if a flash is needed. The camera also has fewer manual features. To be honest, I like manual features, but I never find myself using them. As with the other two cameras, this also has multiple color models. This camera also has the editing features that let me crop, adjust, and add effects to a picture right in the camera. It also has great burst modes for taking back to back to back pictures. I highly recommend it. Whether you want to spend hundreds of dollars or under $100 for a camera, there are plenty of options out there. To find the best compact digital camera for the money, I suggest sticking to name brands like Nikon, Kodak, Canon, Pentax, Olympus, etc. Shop around and find the camera that is right for you. Most importantly have fun taking your pictures!